Hair Club is pleased to announce the official grand opening of its third center in the state of North Carolina. 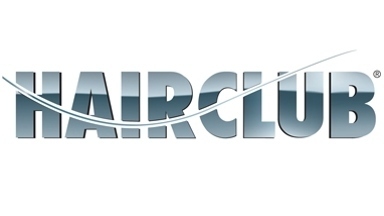 Hair Club is the largest provider of all-proven hair loss solutions in North America. For more than 40 years, Hair Club has provided hair restoration services to nearly 600,000 people in the U.S., Canada and Puerto Rico. Today, Hair Club has locations in 39 U.S. states as well as 7 provinces and territories. A new concept in smaller centers, this new Hair Club facility is located at 1255 Creekshire Way, Suite 280, Winston-Salem, NC 27103. Contemporary, upscale and using new “green” construction options, including LED lighting, this new center is nearly 1,500 square feet in size and can be expanded to meet the hair loss needs of the local population in Winston-Salem and the surrounding areas. Hair Club offers proven hair loss solutions for women and men, including non-surgical hair replacement and laser therapies. Founded in 1976, Hair Club is North America’s number one provider of proven hair loss solutions. For more than forty years, Hair Club has helped hundreds of thousands restore their hair and transform their lives. Today, Hair Club has nearly 120 locations throughout the United States, Canada and Puerto Rico and is a wholly owned subsidiary of Tokyo-based Aderans Co. Ltd., the world’s leading provider of total hair loss solutions. Aderans brands in the U.S. include Bosley Medical Group. Professional hair transplantation services provided by the affiliated physicians of Bosley Medical Group. Please note that no procedures are performed at Bosley until the patient has been examined, diagnosed and accepted for treatment by a Bosley physician.